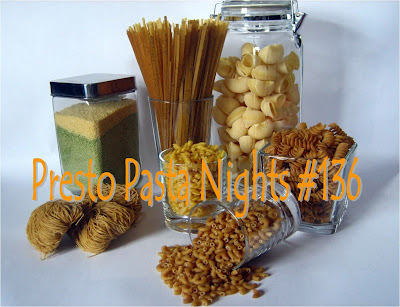 I'm faking it hosting Presto Pasta Nights #136 this week! 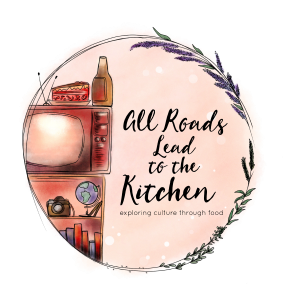 This week, I have the pleasure of hosting Presto Pasta Nights (the brainchild of Ruth from Once Upon a Feast)! I am very excited, as this is my first time hosting this delicious, weekly event...and, it's week #136 already...can you believe that!? Is there anybody out there who hasn't yet participated? Well, what are you waiting for? Did you make pasta in any size, shape or form recently...or do you plan to? Perfect! We enjoy all pasta equally...no prejudice here...you make it, we take it. What do you do once you've created that beautiful pasta dish, you ask? I can answer that...simply: ~create a dish using pasta or noodles ~post about it on your blog anytime from now until midnight on October 22 , being sure to link back to this post and Presto Pasta Nights. ~Once you’ve posted your dish, send an email to girlichef (at) yahoo (dot) com and cc: ruth (at) 4everykitchen (dot) com by October 22 (midnight, Eastern time) with the following information: your name, blog name, link to SPECIFIC PPN post and attach a picture (jpg or gif, please). Most importantly...be creative and have fun! Bring on the comfort food :D In the spirit of simplicity...it's been a long, hard week if you recall...I decided to fake it (not bake it)! Fake it, Don't Make it Lasagna slightly adapted from a recipe from Martha at Menagerie (seriously, this recipe is so versatile)yield: ~6 svgs. ~ 4 c. your favorite pasta sauce (homemade, jarred, canned) 1 bag frozen Ravioli (cheese, meat, veg), thawed or frozen...either will work 1 pkg. frozen chopped spinach (~12 oz), thawed and squeezed dry ~3 c. shredded mozzarella freshly grated Parmesan cheese Preheat oven to 350° F. Spoon about a third of your sauce over the bottom of a 9x13" baking dish. Cover with a single layer of ravioli. 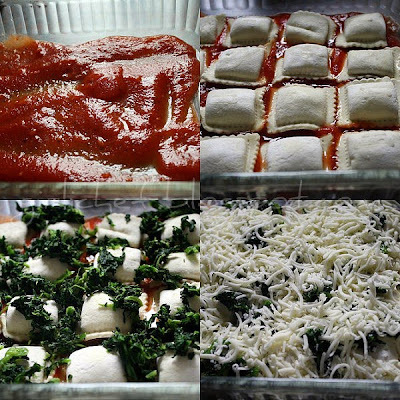 Top with half of the spinach and a third of the mozzarella. 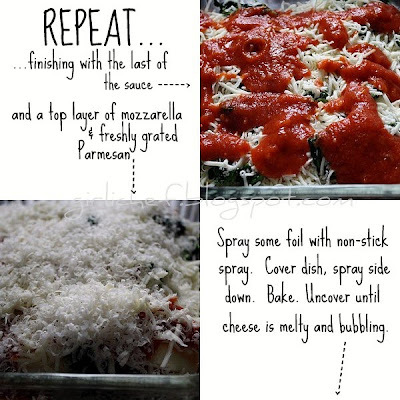 Repeat, ending with mozzarella and grating enough fresh Parm over the top to satisfy your cheesy urges. Cover with foil that has been sprayed on the bottom (to keep the cheese from sticking) and bake for ~25 minutes. Uncover and bake until bubbly, ~10 more minutes. 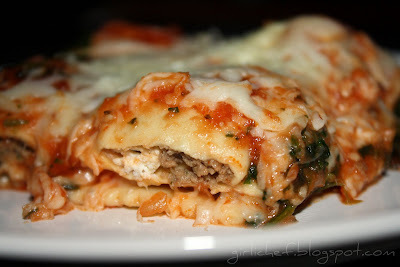 Go ahead and dish it up as you would dish up traditional lasagna!! A simple, delicious and quick substitute when you're running short on time...or feeling less than up-to making a "regular" lasagna. Comfort food by any name... Don't forget to email me your PPN#136 entries by Thursday October 22 (at midnight, Eastern time)...so that I can post the round-up on Friday October 23rd! What a freaking amazing idea! This is awesome! I HAVE to make this! What a cute idea! We always have frozen ravioli around for when we need a quick meal, so maybe I'll try this sometime! I've always wanted to make a faux lasagna with ravioli. 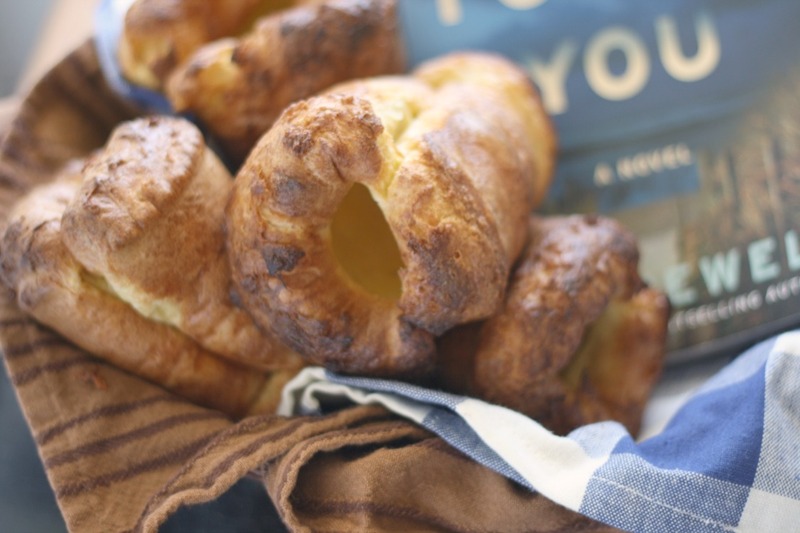 this looks delicious and the bubbly crusty golden cheese on top is my favorite part! I don't think I have ravioli but I have tortellini. It might be awkward making but it would be a challenge. I will have to see if I can figure out the logistics. 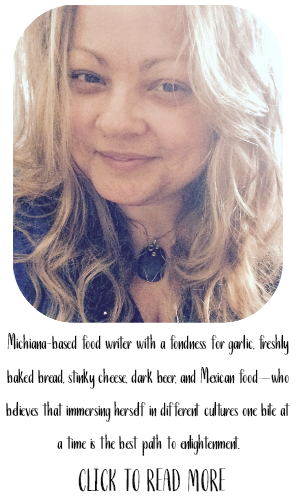 I love the way you diagram your recipes and I love your great ideas and delicious food. That's pretty cool. Will definitely have to give this a try. The ravioli cooked in lasagne way is definitely worth a try! I wish my husband ate cheese too...sighs...everytime I have to finish the whole tray of the cheesy baked pasta or vegetables, and that's too much for me. Lasagna is THE perfect dish for fall and winter. As long as it tastes good, doesn't matter if it's "fake." To quote the Barefoot Contessa (I love Ina), how easy is that? Oh my gosh. Sheer genius! HA! I love this idea! wished I'd known about this sooner. I bet (hope) I remember this next time I don't want to spend a whole day making lasagna!!! 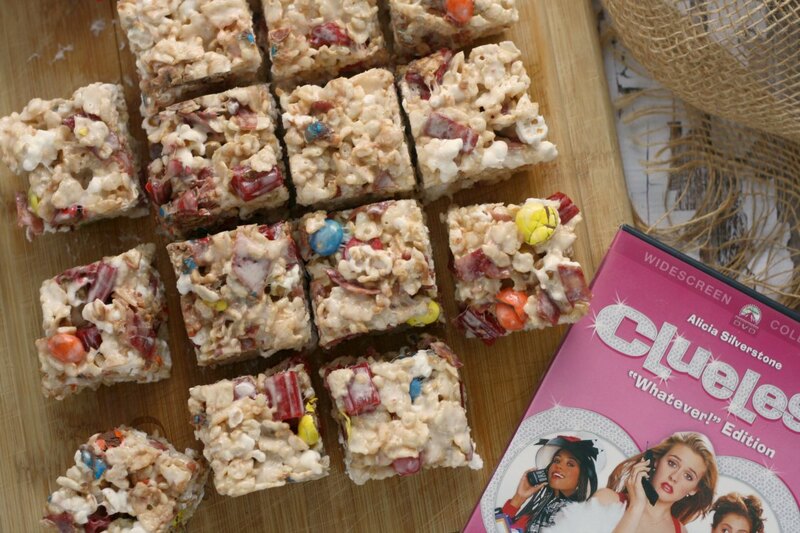 Even for a "fake it" that looks super-yummy! It really does look delicious! Your pictures are, as usual, stunning. WOW... Does this ever look easy and sound amazing! It must be delicious ! great job and whew! 135/6 weeks of pasta!!?? I plan to play along on PPN. I'll be back once I post! I am all for a good quickie! Great for those nights that you don't have the time or energy for the whole production. I could go for a plateful right now! mmmmm. i love anything with pasta! go carbs! I really love baked ravioli - reminds me of my Grandma. 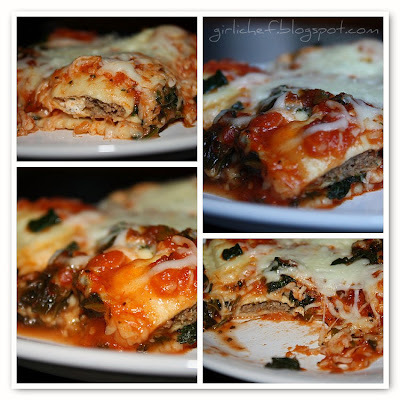 I love this with the spinach added in - so easy and so very yummy! I love how you made this with the raviolis - delicious and comforting for this nasty and freezing weather!! In my opinion, everyone needs some easy recipes to fall back on like this. This looks amazing! I love the title of this recipe! And the recipe looks quite successful at faking it! I have seen versions of this and have wanted to try it. 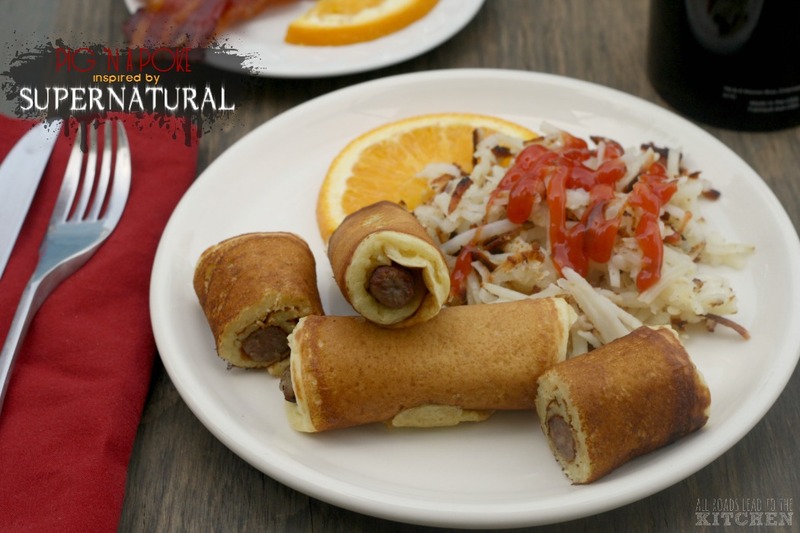 Nothing wrong with faking it with something this delicious--it looks great. I'll be sending you my IHCC Potluck recipe for PPN in a day or two. Doing double-duty this week! This looks like the perfect midweek family dinner. I'm happy to say I just found your blog! Faked or not this is one deee-lish-us looking dish for a pretty easy duded up family meal! Great! I'll see if I can get a dish and a post out in time. Faking it is a necessity come mid-week. Definitely doing this - have all the ingredients, loving the spinach in it and it will be so comforting as our rains return tomorrow. This is an awesome idea! I have to give this a try, it looks absolutely perfect. oh i love this! it looks incredible! i am excited to participate, i've never done this one before! I have had a version of this on my list to try for quite a while now, and yo've got me motivated to add it to the rotation sometime soon. What agreat way to have lasagne without waiting for a long weekend to do it! I DONT EVER EVER want to see the word fake, faking, or faking it, near your name again, no faking it allowed, ever. OH dear me, I am so sorry, you were talking about food. 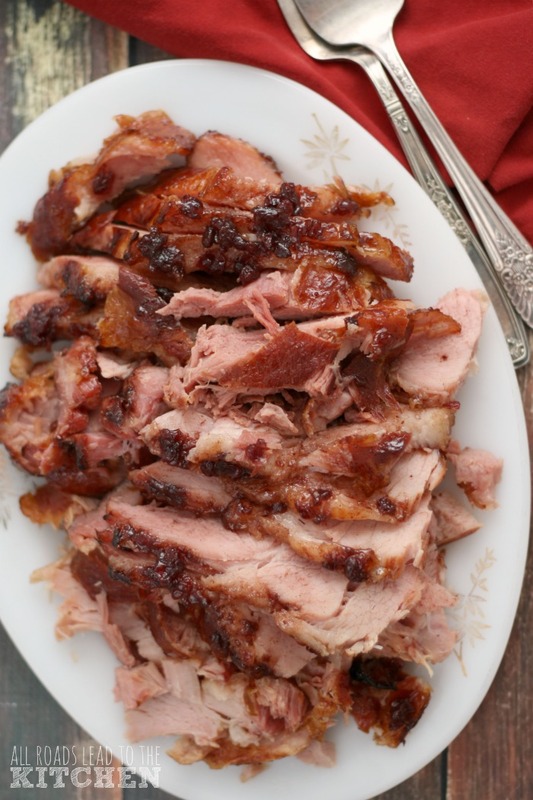 This is excellent, great weekday recipe for sure! So, does my deconstructed mac & cheese qualify as a submission, I'll send it over if it is. I make a mean lasagne from scratch, sauce and all, so when i saw this, I was like WTF!? But I gotta say, it looks very good and I would try it. It looks quick and easy. 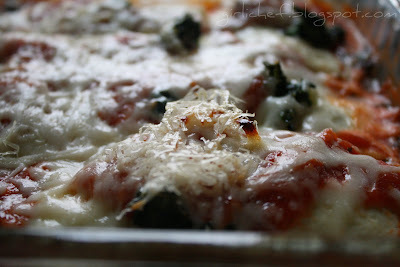 I made a lasagna fake-bake like this once before with ricotta and spinach and no tomato sauce. I loved every second of it! This looks quite fabulous as well. Sometimes you just want lasagna without all the hassle. What a great idea! There are so many great pre-made ravioli products out there now and lasagna can be so time-consuming. This would be perfect for when I have family for dinner! Oh, this is definitely going on my to-make list. So easy and yummy! Bloody Mary and Ginger Pom: Spooky Spirits! Squashy, Cheesy, Sausage (-y?) Pasta Bake! Cheesy Garlic Bread for World Bread Day! Which foods do you crave at MIDNIGHT? I may be sick...but you still need Pumpkin Bread! What do you like in your oatmeal?